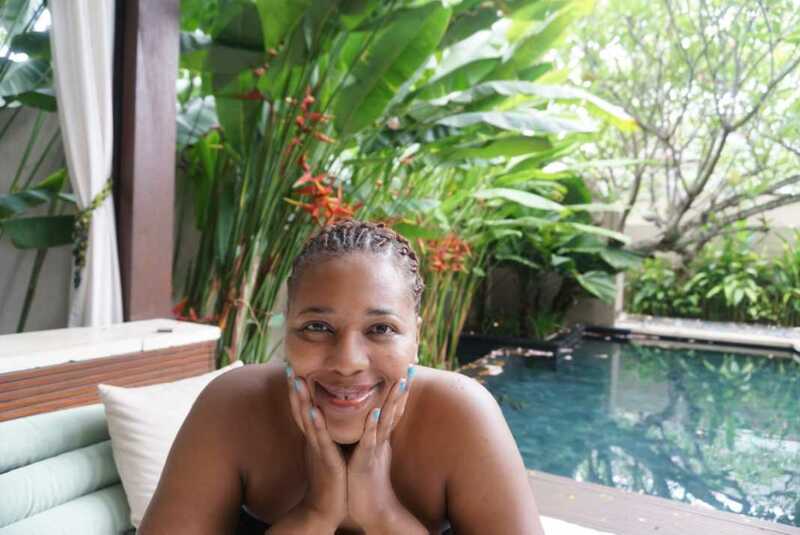 W Bali Seminyak Villa was beyond marvelous! Arriving to such an astonishing and tranquil scene after a long flight from New York to Bali was literally refreshing. The W Bali Seminyak delivered starting at the bamboo lined entrance that set the mood for Balinese culture and royal vibes. I stayed in the private villa. Villa guests, a dedicated lobby and expedient check-in process awaits you. I immediately felt at home. I didn’t go straight to my villa after check-in. I’d scheduled a tour and time ticked. The guide on stand-by waited for me to settle in and we were off. So, I handed over my bags to valet who whisked off to place them in my villa for safekeeping. Oh, how sweet the return was! It was dark when I returned. The lights illuminated the path, creating an inviting mood. Villa number 5 (my lucky number), delivered an intimate, private, and enchanting setting. The ambiance was breathtaking. Mesmerized, I wasn’t sure I’d leave the villa. If it weren’t for pre-booked tours, would have turned into a recluse. The W Bali Seminyak is worthy of a few days of immersion into nothingness. If you can take the time to just lay back, do it. W Bali Seminyak is an amazing resort. If you stay in the villas, it is easy to miss the rest of what the hotel has to offer. It will behoove you to stroll around and enjoy the numerous entertainment, dining, and beach activities available to guests. Met with an intricate landscaped pool and sitting area. A charming waterfall created tranquil white noise and backdrop. The Bale Begong day bed added an excellent touch and comfort. Especially in the evening laying under the stars and with the seductive glow from the outdoor lighting and midnight sky. A king bed overlooks the private deck, pool, and day bed. I slept with the curtains open every night gazing at the oasis just steps from my patio door. The well-maintained foliage added color and flair to an already perfect and magical scene. There’s a nice flat screen TV but I didn’t come to Bali to watch television! Fully equipped with surround sound courtesy of BOSE. So, you can rock out, make love, or do whatever, whenever in the privacy of your villa to smooth grooves. It’s even soundproof. Oh baby, there’s nothing like a soundproof room! You have your standard munchie box, drinks and fridge. Room service is available all day and night. The pricing is affordable compared to other W Hotels in different parts of the world. The shower has great pressure and nice hot water. There’s a glass divider separating you from your private deck. You’ll see little lizards running up the glass on the outside while you bathe. Don’t be alarmed, they are cutey patooty! Also, there’s a nice almost egg shaped bath tub available to you as well should you feel inclined to take a sit instead of enjoying the rainfall shower. The office space is ample. Equipped and wired for computing needs. WIFI was sufficient and free. In true W style, Whatever/Whenever service is available to you 24/7. If the stroll down the pebbled stoned paths is too much for you, take a free ride on the golf carts dedicated to those staying in the villas. I didn’t get to experience the spa but was surprised to see Away Spa. I’m so used to seeing Bliss Spa in W Hotels. When I have more time, I will treat myself to a massage at the W Bali Seminyak to see where Away Spa takes me. There is a gym that is well-equipped, clean, and always accessible. Let’s not forget the beach! Disclaimer: certified beach snob here. I wasn’t overly impressed with the beach. But, I wasn’t underwhelmed with it either for what it’s worth. At just about $500 per night, start saving your Starwoods points now and get ready for a marvelous experience at W Bali Seminyak! Planning a trip to Bali? Ask me anything! 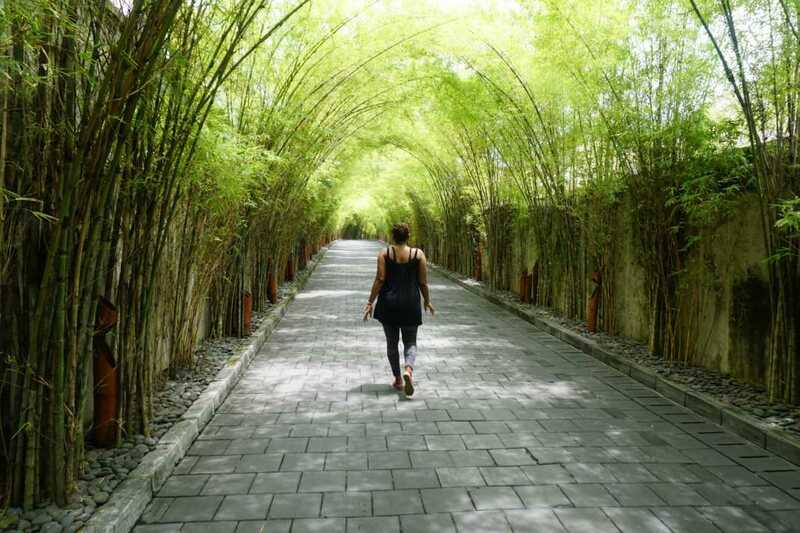 The W Bali Seminyak Villa was beyond marvelous. Full review + video in my latest blog post.